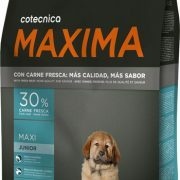 Complete food recommended for dogs of low activity level or with a tendency to excess weight. 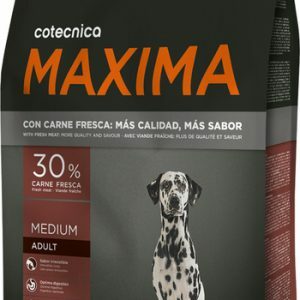 The higher amount of superior proteins ensures an optimal assimilation of all nutrients, while the lower content in fats helps to maintain an ideal weight and, at the same time, supports muscle tonicity. 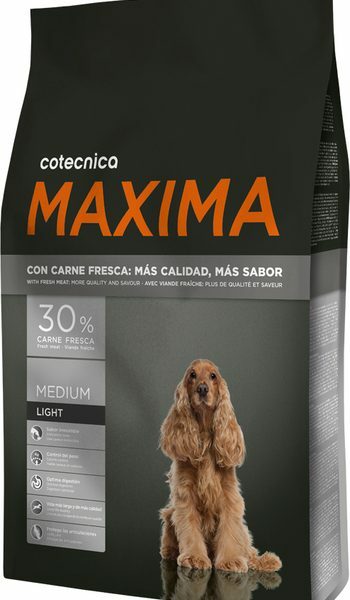 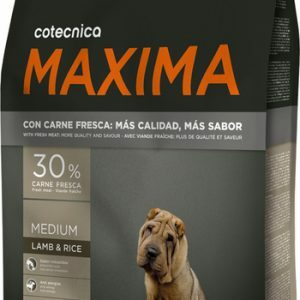 Cotecan MAXIMA is a range of latest-generation feeds, produced from fresh, natural ingredients of the highest quality, with guaranteed traceability from origin, that ensure the wellbeing and good health of your dog throughout their life. Poultry meat (30% min. 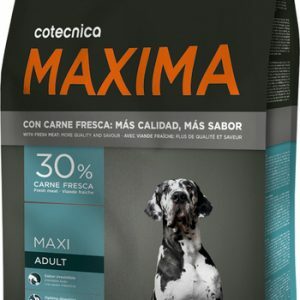 fresh poultry meat prior to extrusion); rice (14%); wheat; wheat bran; corn vegetable proteins; carob; brewer’s yeast; refined fish oil; flax seed; chicken digest; dehydrated egg; fructo and mannan oligosaccharides; beet pulp; sodium chloride; potassium chloride; chondroitin and glucosamine (450mg/kg); citrus plant extracts (polyphenols) and rosemary. 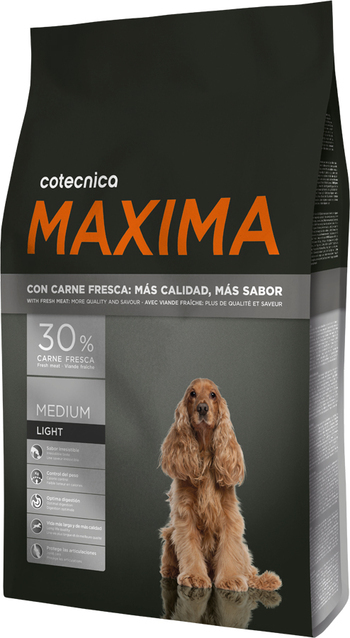 Analytical components: Protein 26%; fat content 8%; gross fibre 3.5%; inorganic matter 7%; calcium 1.1%; phosphorous 0.9%; humidity 8%. 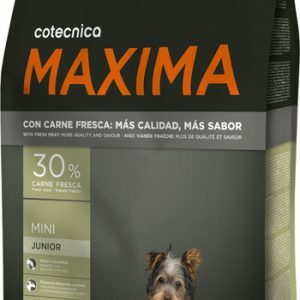 ADDITIVES/Kg: Nutritional additives: 22,000 IU Vitamin A; 1,800 IU Vitamin D3; 400 IU Vitamin E; taurine 1100mg; carnitine 300 mg; omega 3 unsaturated fatty acids (0.47%) and omega 6 (2.5%) of total fat; iron E-1 140 mg; iodine E-2 4 mg; copper E-4 11mg (5 mg copper chelate of amino acid hydrate); manganese E-5 52 mg; zinc E-6 200 mg (10 mg zinc chelate of amino acids hydrate); selenium E-8 0.3 mg; (3.1.1) DL-methionine 20 mg. 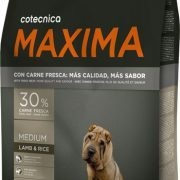 Technological additives: Lecithin: 400 mg; pure cellulose 5 g.